Crofts Estate Agents are pleased to bring to the market this two bedroom mid terraced house, located close to the town centre and is in the catchment area of Welholme school. 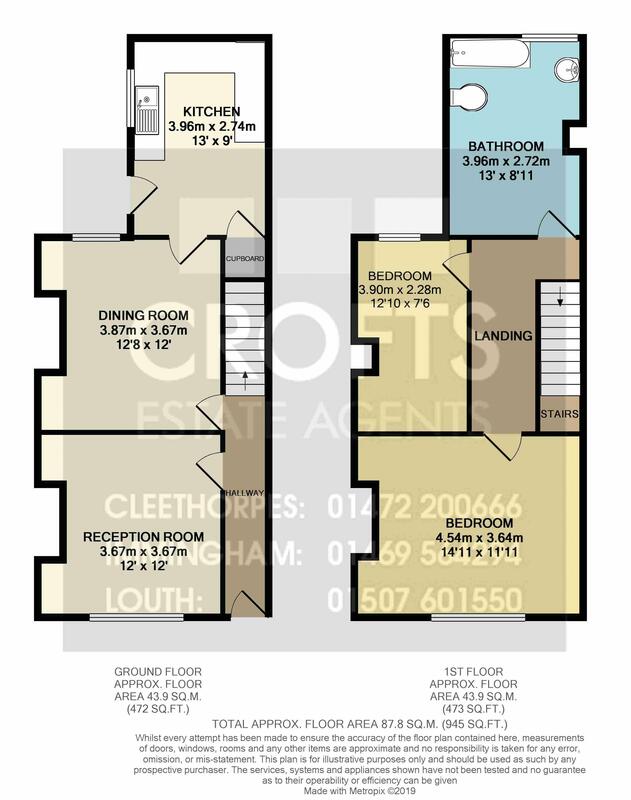 Heading into the property you will find two spacious reception rooms and a good size kitchen. To the first floor, you will discover one double size bedroom and a single sized bedroom. There is also a good size bathroom with comprises of a three piece suite. In addition, the property benefits from gas central heating and uPVC double glazed windows throughout.